Coconut oil has been creeping into my mind recently. As I stroll through the grocery stores, I see rows of different coconut oil options. Finally, curiosity got the best of me and I decided to give it a try. Coconut Oil Brownies are the result of this experiment. I melted the coconut oil with a combination of unsweetened and semisweet chocolate. Cocoa powder adds an even deeper chocolate flavor. 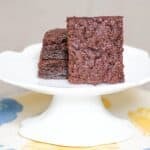 I read that baked goods that include coconut oil will have a slight coconut flavor but I was not able to detect it in these Coconut Oil Brownies. Perhaps this is because of all the chocolaty goodness. Will I bake everything with coconut oil? 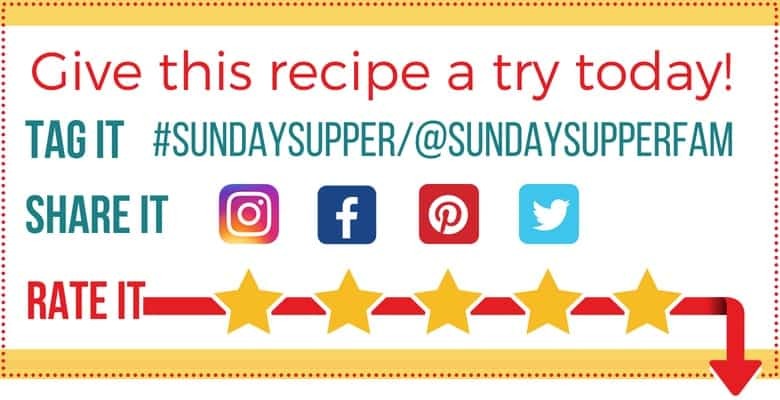 Nope, but I can say with full confidence that I will never shy away from a recipe that includes it. What are your coconut oil experiences? 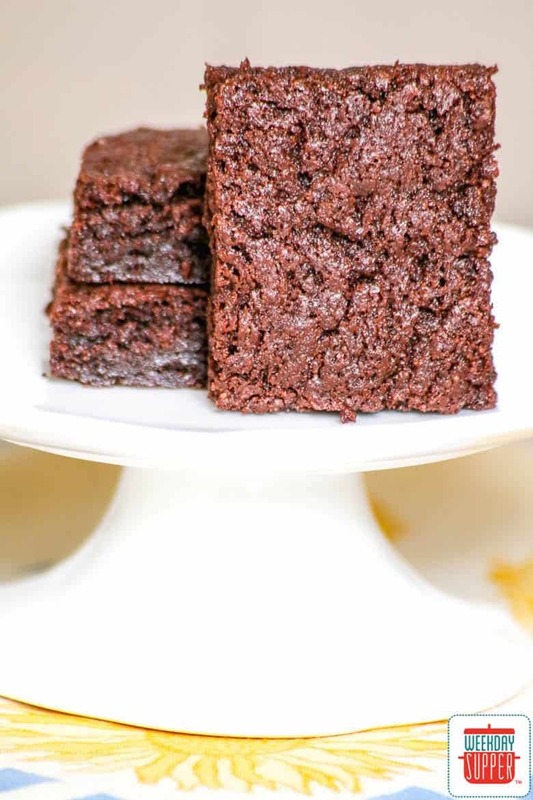 Does coconut oil make brownies healthier? 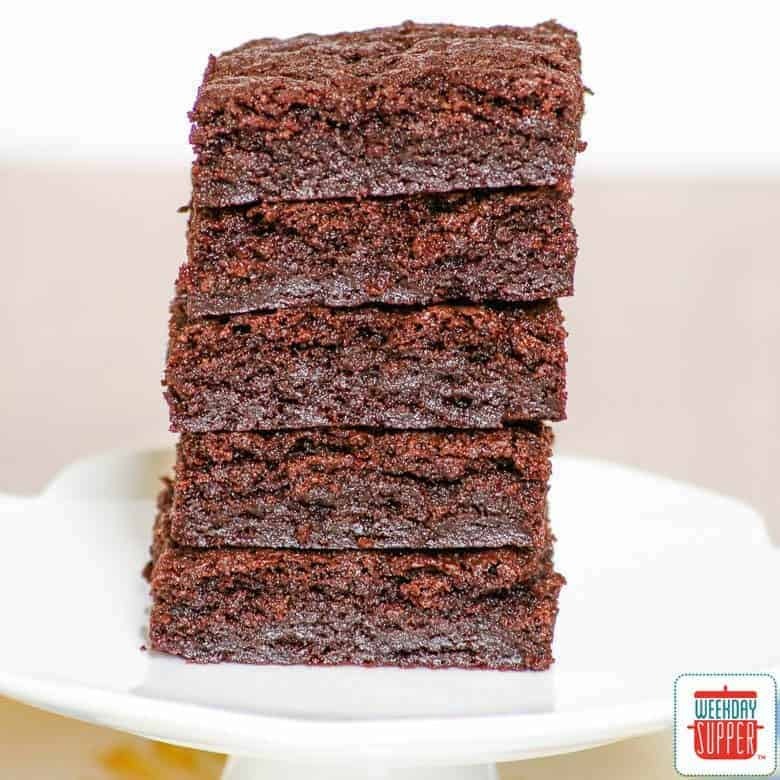 We can't say that - jury's still out - but these coconut oil brownies are richly chocolatey and delicious! Preheat the oven to 350°. Line a 9” x 13” baking pan with parchment paper and set aside. Whisk together the flour, cocoa powder, baking powder and salt and set aside. Place the unsweetened chocolate, semisweet chocolate and coconut oil in a large microwave safe bowl. Microwave just until all of the ingredients are melted. When microwaving coconut oil, it is best to do so in smaller increments of time rather than one long time period. Stir until smooth. Blend in the sugar. Stir the batter while adding the eggs so that they don’t curdle. Add the vanilla. Stir in the dry ingredients. Transfer the batter to the prepared pan. Bake at 350° for 30 minutes. Cool before cutting, if you can wait that long!